UPDATE [February 24, 2016]: Yesterday, WTVC News channel 9 and local law enforcement officers gathered at Children’s Hospital at Erlanger for a very special presentation. 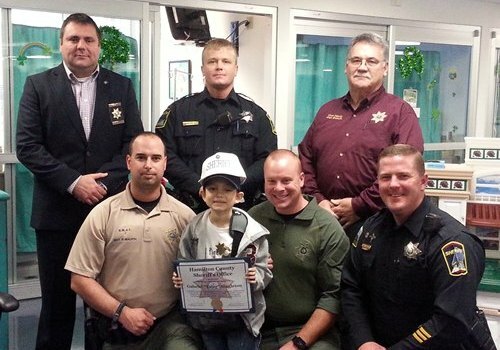 Gabriel “Tater” Singleton was made an honorary deputy of the Hamilton County Sheriff’s Office. Special thanks to HCSO Chief Deputy Allen Branum and Deputies’ Sgt. Paul Maupin, Kyle Henegar, Breeland Kilgore, and Jonathan Parker for helping to make Tater’s wish come true. 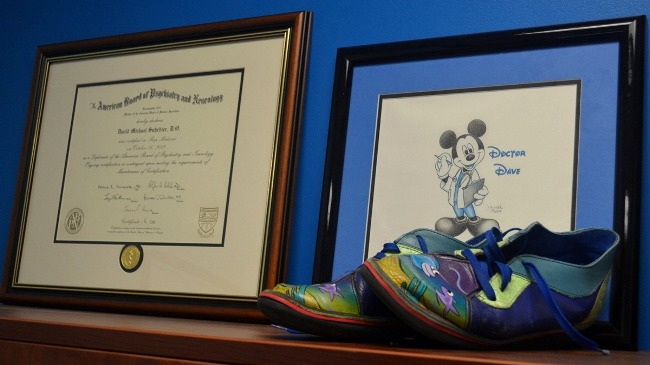 Original post [February 21, 2016]: Seven-year-old Gabriel Singleton, affectionately nicknamed “Tater,” was diagnosed with stage 4 neuroblastoma when he was 3 years old. For over half of his life he has been battling cancer, all the while looking to his hero, Dwayne “The Rock” Johnson for inspiration. Tater recently took to Facebook to ask for our help in letting The Rock know that he’s a fighter, and the social media community has answered. Tater’s request has been shared nearly 4,700 times to date, and his story has been picked up by various local, national, and international outlets including: WRCB, Mashable, Mirror, The Morning Express with Robin Meade, and even TIME. The hope is that his story will continue to gain reach, ultimately being seen by The Rock himself. 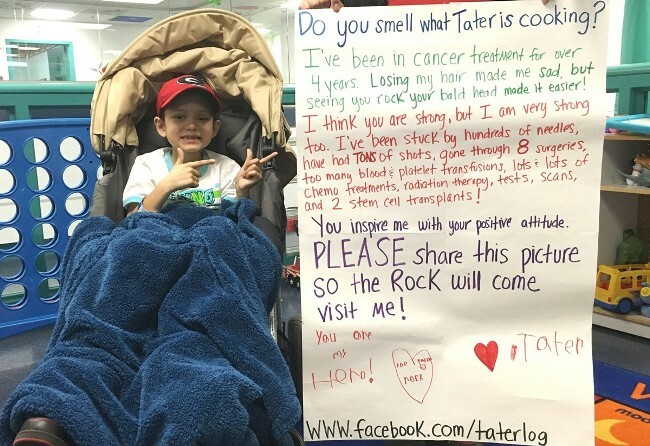 So, help Tater meet The Rock by sharing our Facebook post, and by tagging @therock on Twitter and on Instagram. To find Tater’s post on Facebook, go to www.facebook.com/ChildrensatErlanger.